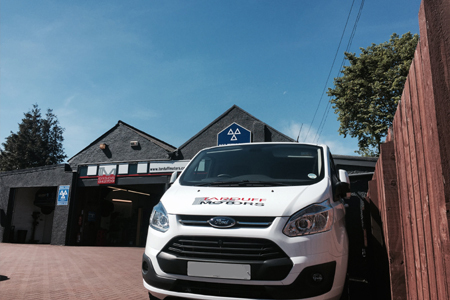 Established in 1966, TARDUFF MOTORS LTD have provided quality motor servicing and repair in and around the Linlithgow area from the first day of business through to the current day. As a family run business, we pride ourselves in providing a quality job and honest service, which has been rewarded over the years by building up long term relationships with many of our customers. TARDUFF MOTORS LTD started out providing car servicing, repair and sales in 1966 and throughout the 1970’s and 80’s enjoyed growth through providing first class automotive service to the local community. Formed by Roy and Anne Low, the company enjoyed Roy’s engineering prowess and eye for detail at the helm for over 30 years applying much of his experience gained in the Aerospace industry where he trained for 4 years as an aircraft engineer. We would like to thank our customers for their support and loyalty over the years and welcome new customers to the same level of service we are proud to have supplied since our start-up.